Once a month, we bring you news of all the latest updates to our email marketing software. In July, we introduced several new features to save you time and make our software even more user-friendly. Firstly, we have extended the search function under the inactive contacts tab so you can filter your unsubscribed contacts more specifically. 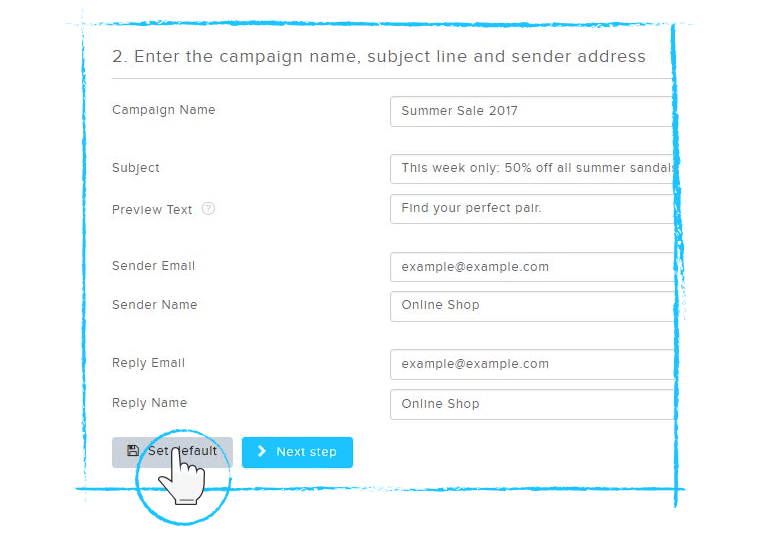 It is now also possible to set default sender details for your email campaigns – saving you even more manual input. Furthermore, we have updated the account settings area; you can now see all your active products at a glance. We have also optimized the telephone number field to prevent discrepancies when transferring data from one system to another. Finally, we have two new plug-ins available: Amazon Seller and Microsoft Dynamics. Keep reading to find out more. An important part of successful email marketing is understanding why your contacts unsubscribed from your newsletter. To help you gather as much insight as possible, we have extended the search function under the inactive contacts tab. 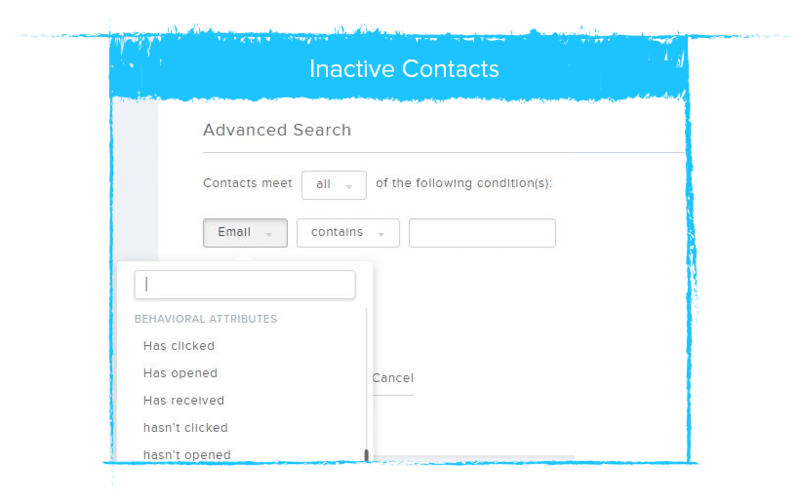 From now on, you can filter your inactive contacts according to different criteria – just like your active contacts. We have also added to our list of available plug-ins. With the Amazon Seller plug-in, you can insert products from your shop straight into your newsletter with 1-click product transfer. This enables you to create a professional email newsletter in minutes. With the Microsoft Dynamics plug-in, your contacts are automatically synchronized with your CRM system. No need to manually compare data across each system – leaving you more time to focus on your campaigns instead. Up until now, users were required to fill in the reply name and email address for each new email campaign. However, as this information doesn’t usually change from email to email, we have developed a time-saving solution. When creating your next campaign, fill in the reply name and reply email fields as usual and then click on “Set as default”. This will then be saved and automatically filled in for all future emails. You can now find all the most important information about your Newsletter2Go account under account settings. Previously, only the number of email credits was shown. 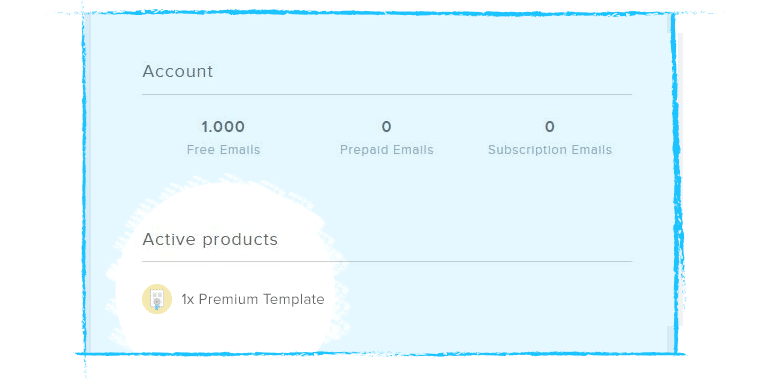 We have now extended this to include all your active products – such as if you have a premium template, for example. You can find a list of all your active products directly under your account balance, ensuring you are always up-to-date. 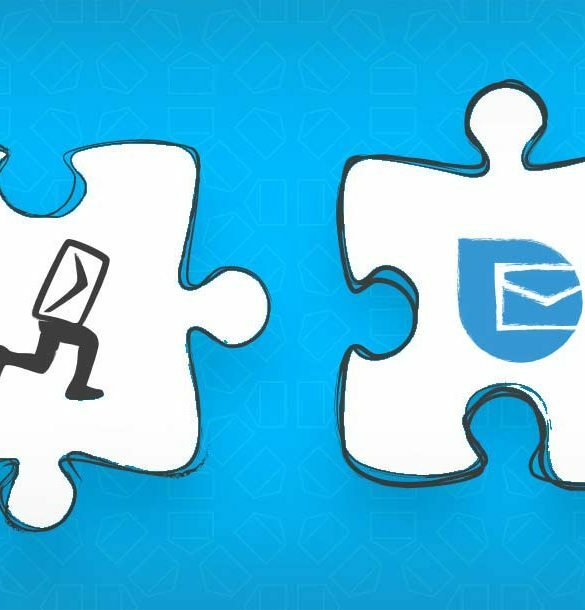 Quick, reliable syncing between Newsletter2Go and other CRM or e-commerce platforms is crucial to your success – and therefore one of our top priorities. 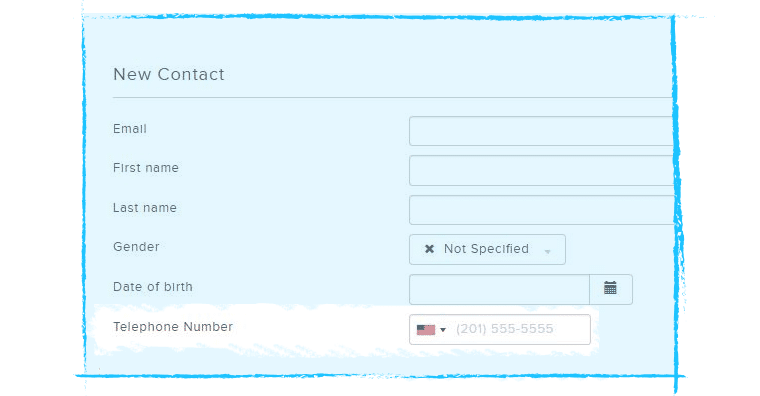 In order to avoid discrepancies when transferring phone numbers, we have optimized the telephone number field. When manually entering contact phone numbers, you no longer need to decide between the “+44” or “0044” formats. Simply select the relevant country prefix and enter the telephone number without the first 0. When importing .csv files, make sure that all telephone numbers start with “+44” (for example). Try it now - it's free! How did you like this article? Ready to up your email marketing game? Who better to learn about email marketing from than people who spend all day thinking about it! Get Newsletter2Go in your inbox today! Hallo! Wir haben auch eine deutsche Website. Newsletter2go verwendet Cookies, um Ihnen den bestmöglichen Service zu gewährleisten. Wenn Sie auf der Seite weitersurfen stimmen Sie der Cookie-Nutzung zu. Ich stimme zu.